Honouring those who sacrificed for our freedom. Thank you! Stop the earth, I want to get off ....! I don't know about you, but as of late, I am exhausted just from looking at all the new fabric lines and projects that are popping up every week. They make me want to do it all, and yet .... I still have a tonne of other projects needing completion! As a fabric/quilt shop owner, I am overwhelmed by the amount of "new" fabrics that are coming on a monthly basis from the numerous fabric companies ... they are tempting .... I like most of them ... and yet! Some designers have new lines coming out every 3 months!!!! Who can quilt that quickly? Seriously! Quilting for me is my go to for relaxation. I quilt to get away from the stress of life. Lately, this inundation of new fabrics and patterns is causing me to feel overwhelmed. I want to make all the projects and yet ... it's just not realistic. So, is it just me that is feeling a tad overwhelmed? I'm interested to see what is unveiled at Spring Market this year. Since I won't be attending, I'll have to wait for the catalogues to come out or their websites to be up dated. 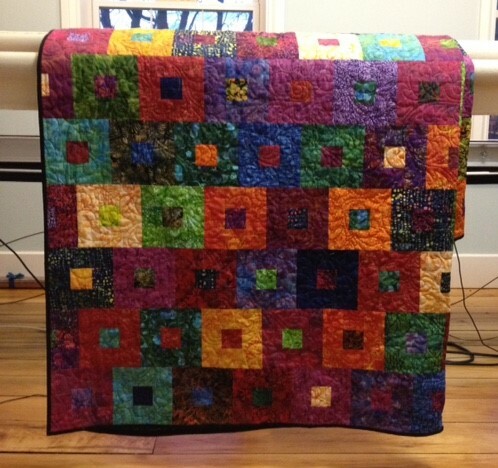 On the quilting front, I machine quilted this quilt. a while back and forgot to blog about it! The pattern is called Jelly beans. I used all batiks! I do like the brightness of the quilt. Where it's at ... Progress! Bathroom is coming together ... the floor is in and the walls are painted! It's the finishing touches that take forever! DH is working overtime to get our bathroom life back to normal! In between working on the bathroom, he has been putting the finishing touch on a buffet/sideboard I requested for our dinning room. I just love how it turned out! I'm super excited to now have a place for my various penny rugs etc. 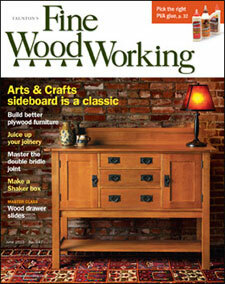 The design is from the magazine "Fine Woodworking" issue June 2015 No. 247. I had him change the plan to make it a tad bigger. 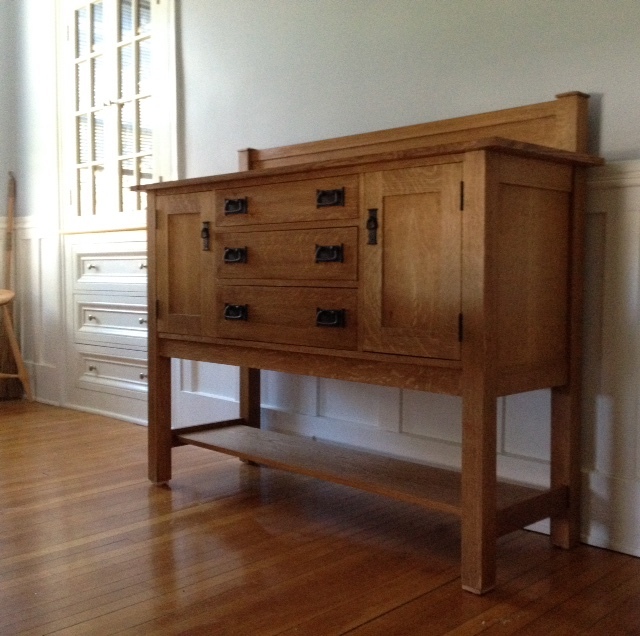 It's made out of white oak! Below is the cover image from the magazine. I cannot wait to fill it with linen and what not. However, not until the bathroom renovations are done. Cleaning is not my favourite pass time. I know, you're shocked!